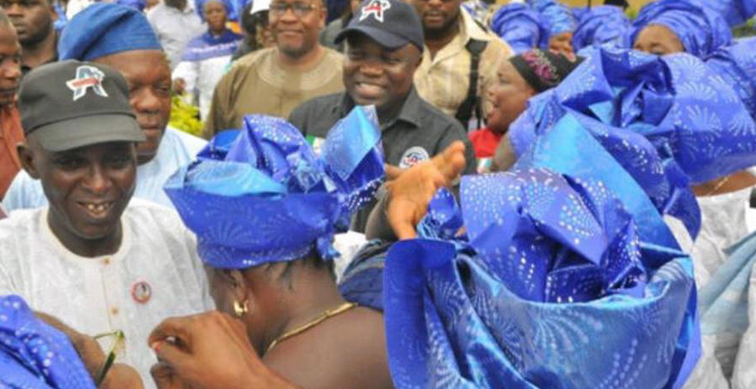 Akinwunmi Ambode received a homely welcome today as his consultation tour visited Somolu/Bariga and Kosofe LGAs. The instant acceptance of the candidacy in both LGAs confirmed their familiarity and identification with Akinwunmi Ambode’s aspirations, quality and personality. Akinwunmi Ambode, who again extolled the supremacy of party policies and structure, appreciated the support given to his intention to serve the state further. He promised total loyalty to their desires and wishes as far as they are in tune with good governance and the overall good of Lagos State. Speaking on behalf of the Somolu-Bariga leaders, Alhaji Sakirudeen Denge Anifowose had nothing but prayers for Akinwunmi Ambode to ensure victory for his candidacy both at the primaries and in the general election, while also assuring him of the total support of the LGA at the party primaries. In addition, a former Chairman of the LGA, Gbolahan Bagostowe urged Mr. Ambode, who he called the “incoming governor”, to place importance on youth empowerment in the LGA, while Mrs. Yinka Osinubi urged him to increase women participation in his cabinet. Other leaders who were present to show solidarity included Alhaji M.A Osiyemi, Chief Bashorun Asenuga, Elder Omoniyi, Hon.Omorotimi Abiru, Mr. Femi Taiwo, Apostle Peter Oyewusi, Pa Mabinuori Daudu, Hon. Bolaji Ariyoh, Hon. Omoyele Sulaimon, among others. Akinwunmi Ambode’s first stop at Kosofe LGA were the homes of two apex party leaders, Otunba Bushura Alebiosu and Alhaji S.A Sunmola. 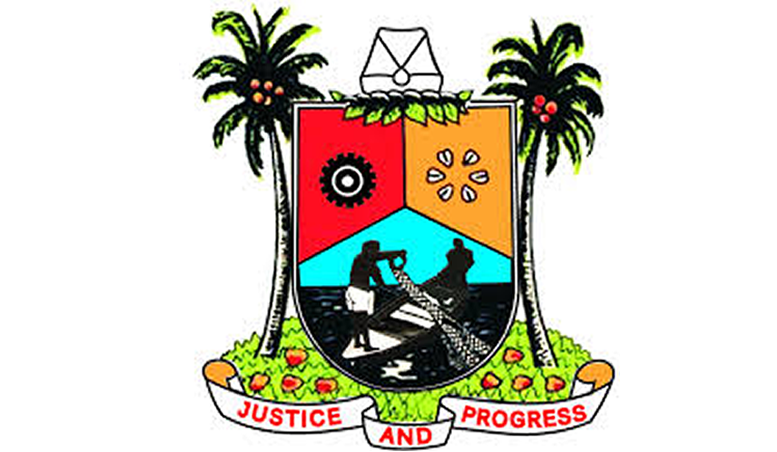 The two elders embraced Akinwunmi Ambode’s candidacy, with Otunba Bushura urging him to carry everybody in the party along and prevent infighting. Chief Sunmola hailed Akinwunmi Ambode’s intention as an excellent one that surely has the support of the party’s leadership. The crowd of supporters gathered from Agboyi-Ketu, Ikosi-Isheri and Kosofe LCDAs to greet Akinwunmi Ambode’s consultation tour at Kosofe LGA was impressive. Amidst the crowd were past and present LG and LCDA chairmen and chairpersons, ward excos, group leaders, royal fathers, the teeming party faithful and a host of well-wishers. Akinwunmi Ambode addressed them re-stating his selfless desire to serve the state and give governance back to the people. He also promised to work with the party leadership to create a well-structured welfare package for the good of the party faithful and all Lagosians. He described Lagos state as a building with a strong foundation laid by the APC government upon which he would build a world-class state. He said he wanted to be entrusted with the mandate to continue the good work which has already been started on this project called Lagos state. The Onikosi of Ikosi land, Oba Samuel Alamu wrapped up the tour with royal blessings for Akinwunmi Ambode and his guber intentions, while he strongly urged the people not to sell their votes. Akinwunmi Ambode’s consultation tour of LGAs reached a climax today as he visited the party leadership and faithful in the Epe division of the state. It was a homecoming of sorts for the son of the soil who had come to formally state his gubernatorial aspiration to his kinsmen. Amidst singing and a lot of cheer, Akinwunmi Ambode was received by a state leader of the Party, Alhaji (Chief) Sakiru Akanni Seriki, and a host of other leaders which included Alhaji Lanre Rasaq, Alhaji B.A Akintola, Chief Olusegun Arowojobe, Chief G.A Olayemi, Hon. Wasiu Ayo Odeyemi, Otunba Alogba, Hon. Tunde Salau, Hon. Muslim Folami, Alhaja Ramota Bankole, Hon. Ibrahim Korede, Barr. Seriki, Alhaja Iyabo Adegboyega, among others. In the opening remarks, Hon. 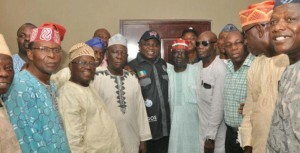 Lanre Razaq firstly thanked the state’s party leadership for putting their weight behind a distinguished son of Epe. He solicited totality of effort and absolute commitment from the Epe leadership to the project tagged “Akinwunmi Ambode”. Alhaji Seriki echoed the same thoughts by urging avoidance of distractions and saboteurs in their pursuit of victory for Akinwunmi Ambode’s candidacy. He further discarded rumours about indigeneship as mere bouts of envy by detractors, all of which should not be given attention. More importantly, Alhaji Seriki noted that having done it before, Akinwunmi Ambode is the only candidate with the financial nous and ingenuity needed to ensure that Lagos successfully survives the present Nigeria and worldwide economic downturn; more reason why all the party delegates and in fact, all well-meaning Lagosians should vote for him. Akinwunmi Ambode responded by stating total appreciation of the long-standing support the Epe leadership has given to him. He described himself as a torch-bearer for the Epe division, who is resolved to make them proud by being committed to the singular purpose of the continuity of good governance in Lagos state. He called for togetherness in the division as he sought 101% of the delegates’ votes at the imminent primaries to ensure wholesome victory for his candidature and the division itself. He did state that his submission to the wonderful policies of the party remains unwavering. All the leaders and the present party faithful gave numerous testimonies that appraised Akinwunmi Ambode’s excellent qualities of leadership, compassion and selflessness. Meanwhile, urban development, youth empowerment, and women participation were the aspects they urged Akinwunmi Ambodeto focus on upon his assumption of office. At the. Eti-Osa LG, Alhaji (Prince) Murphy Adetoro led other party leaders including Hon. Yomi Olubajo, Alhaji Alli, Hon. Anofiu Elegushi, Hon. Rilwan Akinjagunla, Hon. Arobadade, Hon. Alimi, Mrs. Omolola Vaughn, Hon. Yomi Daramola, Hon. Wasiu Eshinlokun, Hon. 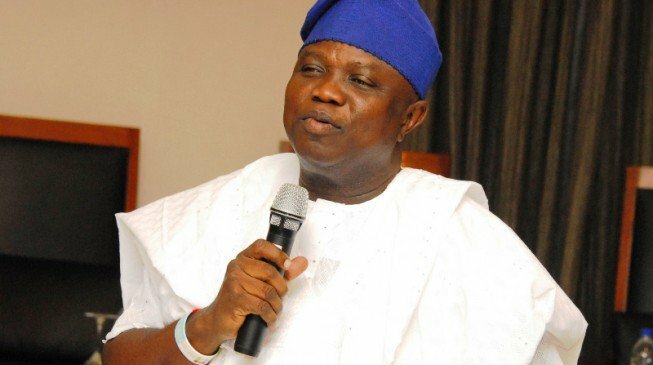 Moshood Masha, among others to receive Akinwunmi Ambode. They stated belief in Akinwunmi Ambode’s candidacy based on their acknowledgment of his experience and excellent testimonies of competence. 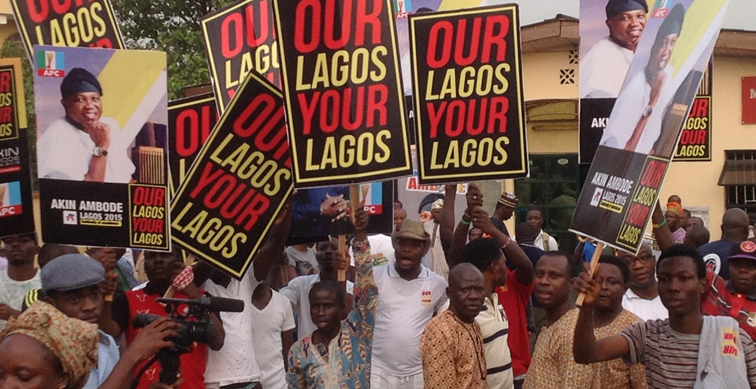 Hence, a promise of their total support at the primaries for Akinwunmi Ambode, to ensure victory for Lagos. Full of appreciation, Akinwunmi Ambode assured them of never failing the trust vested on his abilities to take the state to greater heights. He promised to run an open door policy where the views and opinions of the people will be duly welcomed. Alhaji Apampa capped off the visit with prayers for support, divine guidance and protection for their incoming governor, Akinwunmi Ambode.